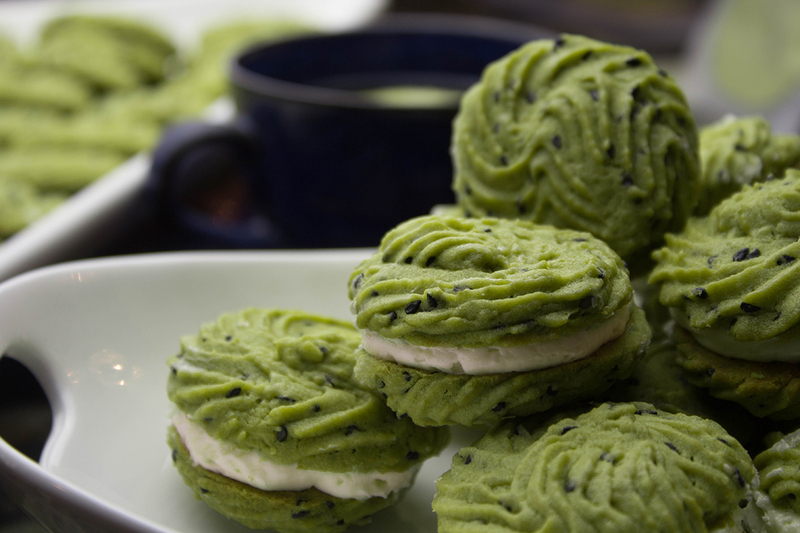 Celebrate St. Patrick's Day with these beautifully green sandwich cookies! 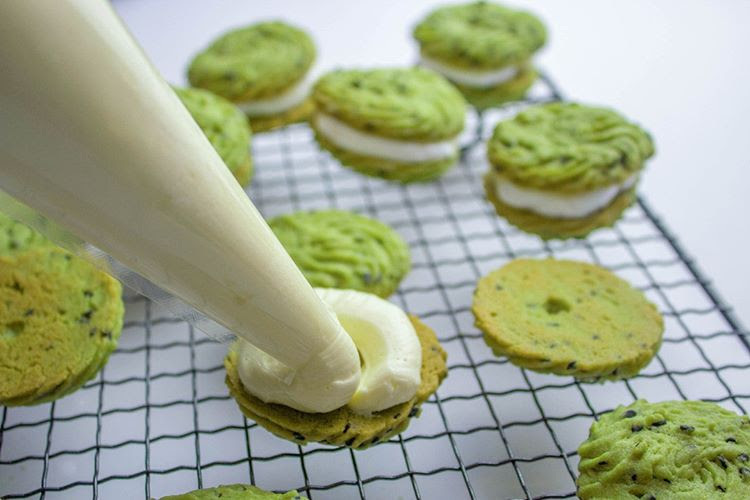 In this box, create cute spritz cookies, with a light and buttery texture, with just a hint of crunchiness from the sesame seeds, Sandwich your beautifully green cookies with a rich white chocolate, buttercream filling. This box was released in March 2018. 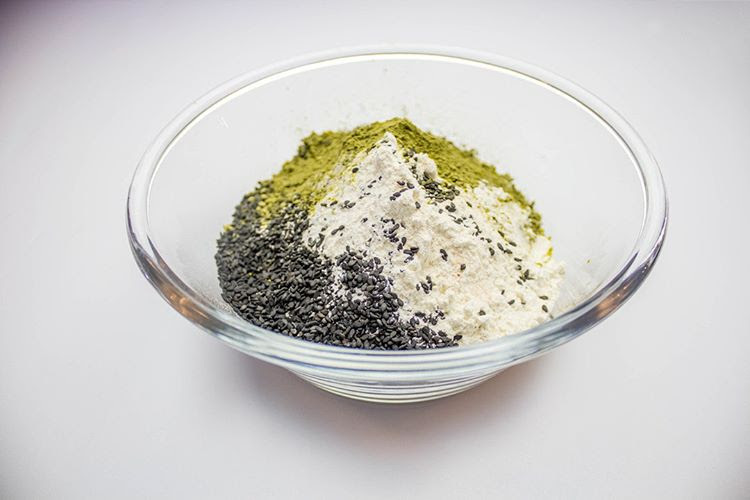 Ingredients Included: Flour, Callebaut White Chocolate Callets, Matcha Powder, Black Sesame Seeds, Icing Sugar, Vanilla Extract, Sea-Salt. 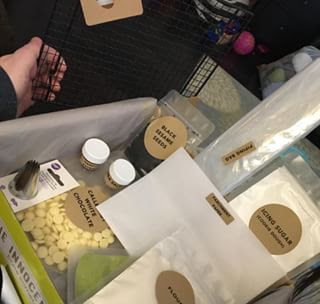 Bonus Tools Included: 1 Baking Rack, 1 Piping Tip (Large Star Tip), 2 Piping Bags, 1 Parchment Paper Sheet. Fresh Ingredients Needed: Butter, 1 Lemon, 1 Egg and 35% whipping cream. Equipment Needed: Electric Stand or Hand mixer, Mixing Bowls.